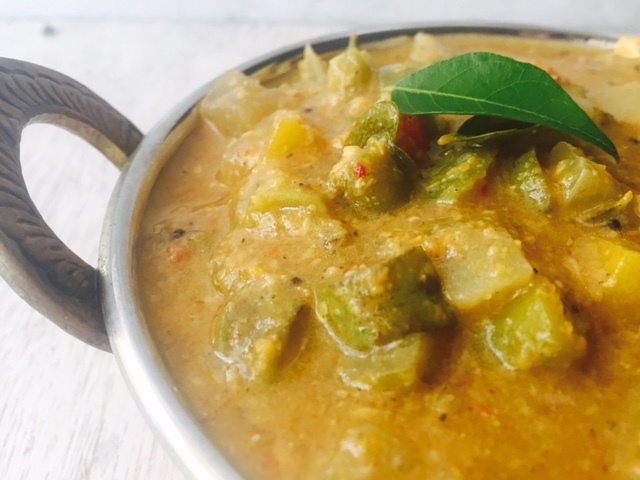 Kanu Kuzhambu is generally prepared on the next day of Pongal or on the day of kanu when only mixed varieties of rice is prepared and this tangy spicy kuzhambu pairs up well with the coconut rice that we prepare.This recipe is given to me by my husband’s aunt Lakshmi Manni. Thank you Manni. Heat oil in a kadai and add all the ingredients except coconut under the table - to be ground into paste. When they start to brown a little, switch off the fire and let it cool. Cut all the vegetables into cubes preferable of the same size. 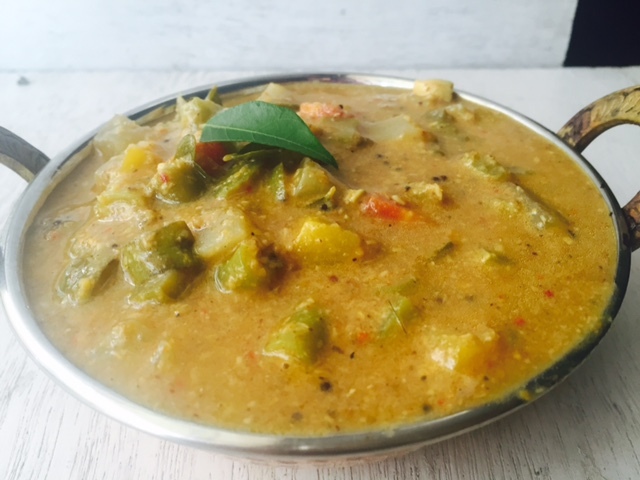 I have used ash gourd, pumpkin, chayote, snake gourd, carrot. You can even use peas, potato, colacasia. Close the lid of the pressure pan, put on the weight and cook up to 3 whistles. Switch off the fire. When the pressure releases completely, open the lid, mix well and serve warm.